What’s the best way to provide grief counseling and bereavement care to someone who is suffering the loss of a loved one to suicide? Eliminate the reason to provide the service in the first place. The American Academy of Bereavement recognizes Suicide Prevention Month as an opportunity to engage and educate not only our members, but the community as well, on the topic of suicide prevention. In 2013, the United States experienced 41,149 deaths by suicide according to Suicide Awareness Voices of Education. With suicide being the 10th leading cause of death in the United States, it’s important that we as individuals, professionals and communities understand how to prevent suicide by identifying signs of a suicidal person. We need to be asking the right questions and using resources available to help them. Verbal warning signs are the strongest and most disturbing but may not be voiced in every situation. It’s important to take warning signs seriously and react appropriately to all verbal and non-verbal signs. Catching them early and seeking resources for help may prevent a potential suicide attempt and save a life. If you have noticed one or more warning signs or know someone who is considering suicide, it’s important to start asking questions. Suicidal warning signs and expressions should be taken seriously and approached in a very understanding and delicate manner. A suicidal person will typically express their intentions to at least one person, which gives a small, precious window of opportunity to get involved and seek further assistance. The American Foundation for Suicide Prevention suggests that if you are speaking to someone who has expressed suicidal intentions to avoid saying things like “you have so much to live for” or “think about how this will hurt your family.” They suggest saying something like “things must be really awful for you to be feeling that way” instead. Have you ever tried to harm yourself before? Have you ever thoughts about suicide? Have you thought about finding help? When in a ‘question-answer’ situation, it is very important to listen openly without judgement or shaming. Do let the person know that you care and they are not alone. Do not try and say things like “look on the bright side” or “you have so much to live for.” The suicidal person is doing the right thing simply by seeking you out to talk to, so reassure them that help is available and their life is important to you. Be sure not to lecture them on the value of life or say that suicide is wrong. You may miss the small window of opportunity to help them seek the proper resources by cutting them off, not listening to them, or shaming them. This, in turn, could ultimately shut them down from seeking further help for their problems. National Suicide Prevention Lifeline at 1-800-273-TALK (8255) for free, 24 hour support. The Trevor Project at 1-866-488-7386 for suicide prevention and crisis intervention involving lesbian, gay, bisexual, transgender and questioning youth. 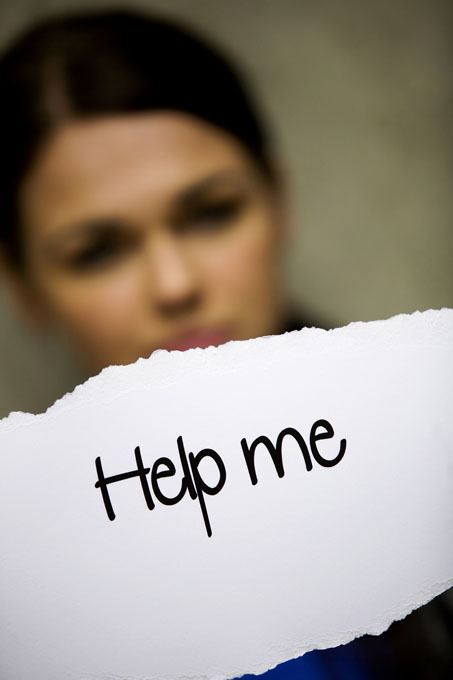 National Hopeline Network at 1-800-SUICIDE (784-2433) for 24 hour crisis support. If a hotline isn’t enough and additional support is needed, suggest they set up a meeting with their doctor or a local therapist who will assess the situation and provide additional resources and recommendations. Suicide doesn’t have to be a person’s only option. We can help save lives by learning to recognize warning signs, learning tactical skills to cope with a suicidal person, and accessing resources from individuals, professionals, and communities. Suicide prevention is not exclusive to mental health professionals and together we can move forward to lower suicide. If you or a loved one is having suicidal thoughts contact the National Suicide Prevention Lifeline at 1-800-273-TALK (8255) for immediate assistance. If you are a mental health professional, join us at The American Academy of Bereavement to further our mission.